Apple Bakery Machinery has recently introduced high quality BOLT range of bakery machines. 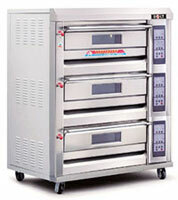 The BOLT Deck Ovens are fully stainless steel and specially designed to give uniform bakeries. Usha International has unveiled its latest innovation in the kit chen appliances category – Imprezza Plus mixer grinder. 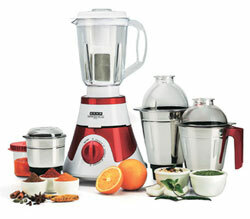 This mixer grinder is a technologically advanced product with advanced fluid dynamic blades. The new Imprezza Plus is customised with features like 100 per cent copper motor, ensuring longer motor life and non-corrosive food grade stainless steel blades. Other features include heavy gauge stainless steel jars with flow breakers for efficient grinding of both dry and wet ingredients and high torque and high speed motor running up to 21,000 rpm at less noise levels even while heavy or continuous grinding. With the recent launch of KitchenAid built in India, KitchenAid has launched its wine cellar in the major appliances segment. 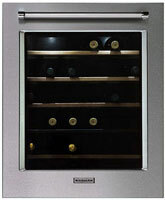 This appliance brings all the features necessary for an ideal storage of up to 46 special bottles. There are three different temperature zones that allow to cool wine at various temperatures. It also has wooden interiors along with natural ventilation with active carbon filters. The bottles also remain UV-Ray protected and there is automatic humidity control. 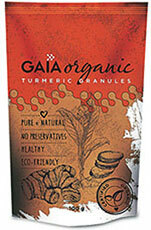 GAIA has recently launched a new specialised line of GAIA Organic Turmeric Granules. Garnered from various certified organic farms, Gaia Organic Turmeric Granules is all-natural, contains no pesticides and additives and has a high curcumin content. A traditional spice and a medicinal herb, it is rich in antioxidants and is also an anti-inflammatory and anti-carcinogenic agent. Furthermore, these granules retain more yellow colour, delicate aroma and nutrients than the powdered form. 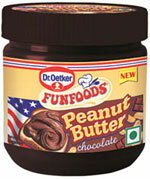 FunFoods by Dr Oetker has introduced a new variant in peanut butter which comes with chocolaty taste. The new product, peanut butter chocolate combines the goodness of 80 per cent peanuts with chocolate. It is priced at `149 for a 340 gm pack and is available at all leading retail stores. It is also cholesterol and trans fat free. PepsiCo India recently announced its foray into the vitamin fortified water category with the launch of Aquafina Vitamin Splash. This is the first ever vitamin fortified water from PepsiCo in India. 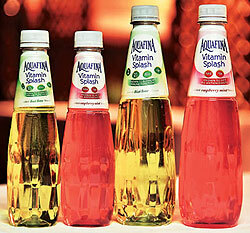 At 35 calories per serve (250 ml) approx, Aquafina Vitamin Splash is the lowest calorie vitamin fortified water to be introduced for consumers in India.